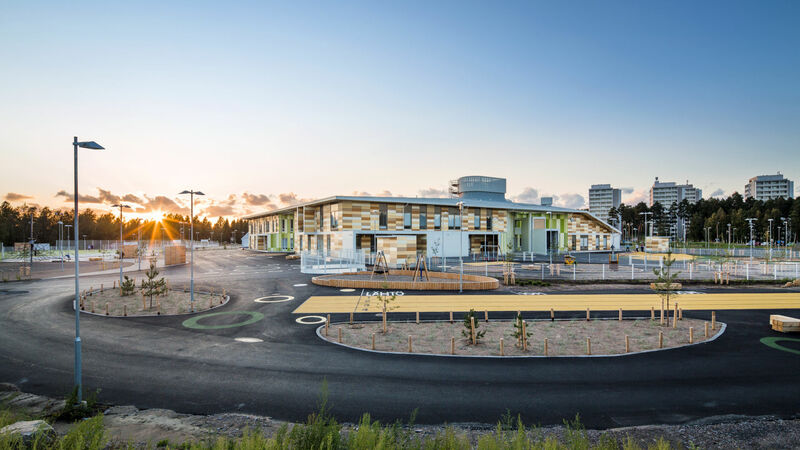 Kastelli multipurpose hall and school, the largest construction project by the City of Oulu, Northern Finland, was completed in August 2014. Professionals who worked on the project, together with the extensive use of computer modelling technology, played a key role in managing the project. Peikko’s on-time deliveries were also integral to the success of the project. 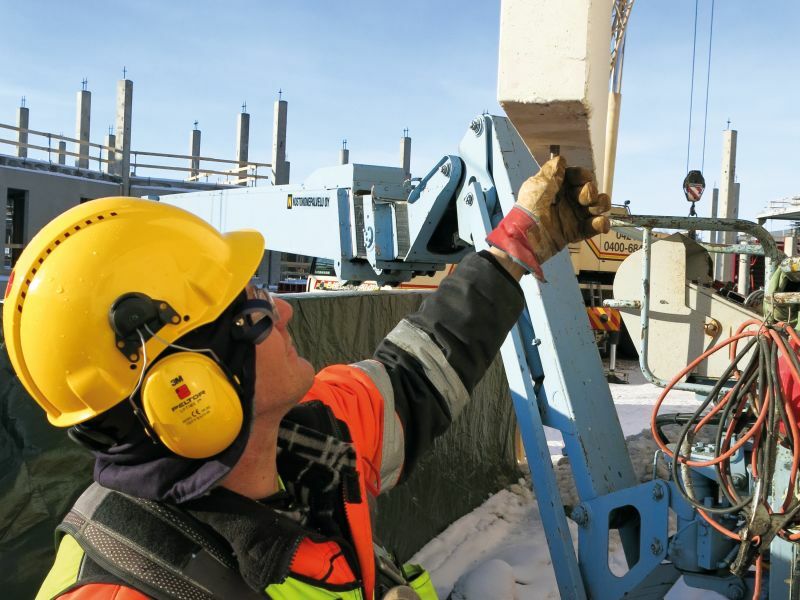 The Kastelli project being constructed in Oulu is a classic example of the benefits of smooth cooperation between construction site personnel, structural engineers, and manufacturers of the main structural components. The use of advanced computer modelling software has helped to eliminate the potential for human errors in a geometrically challenging design. Mäläskä says the inclusion of a scheduling component in the 3D model has been a critical factor, as it has enabled the designers to use the model for dimensioning purposes and site personnel to use it for planning how to optimise on-site work. Overall responsibility for the project lies with Lemminkäinen PPP. As the project includes a 25-year maintenance contract, particular attention has been given to maintenance issues during the procurement process. The capital costs of the project represent approximately MEUR 42 of Kastelli’s total budget of MEUR 86; MEUR 44 has been allocated to cover maintenance-related expenditures between the summer of 2014, when the building is due for completion, and year 2039. The 24,500 m2 building will house two schools, classrooms for evening and adult education classes, a day care centre, a library, an auditorium, a youth club, and gym facilities. Commissioned by the City of Oulu, the goal is to offer facilities for a range of different age groups close to where people live under one and the same roof. “Scheduling is central in a project like this, which is why it has been very important our main material suppliers have been flexible,” says Lemminkäinen Talo’s Procurement Engineer Hanna Keskiaho. Thanks to the use of building information modelling (BIM) software, design issues have been minimised, enabling everyone to stay on-schedule. “BIM software has really been put to good use on the Kastelli project. Although it’s primarily helped the designers, it’s also benefited our element and fixing component suppliers as well,” says Keskiaho. The project has already generated a number of cost and time-saving ideas, says Mikko Mäläskä. One of these was the work done on optimising the lifting anchors used for the building’s 12-tonne, double-storey interior cladding elements. “We would probably have replaced the auditorium’s elements with in-situ cast concrete if Peikko had not stepped up to the mark so quickly. First, Peikko worked out the basic idea for how these massive elements could be safely lifted into place and then confirmed by calculations that it could be done,” explains Pauli Sutinen, Managing Director of VB-Betoni, which has supplied the elements in question. In-situ casting has been used in some places, however, such as the entrance area and the air raid shelter space underneath the building. 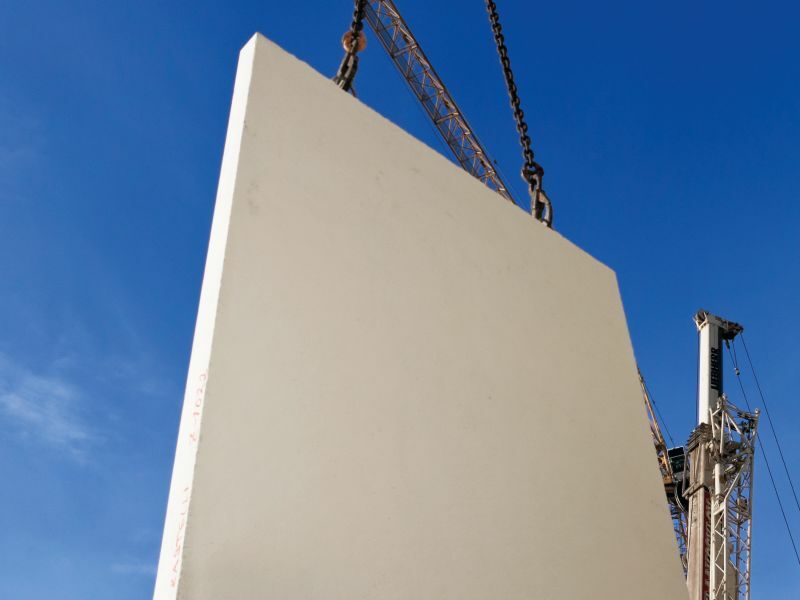 Element-based construction has been used elsewhere because of the cost benefits that it offers. Toni Metsi, Peikko Finland’s Regional Sales Manager for Northern Finland, emphasises the importance of the quality and the timing of customer service in ensuring that everybody gets the information they need when they need it in a project like this. 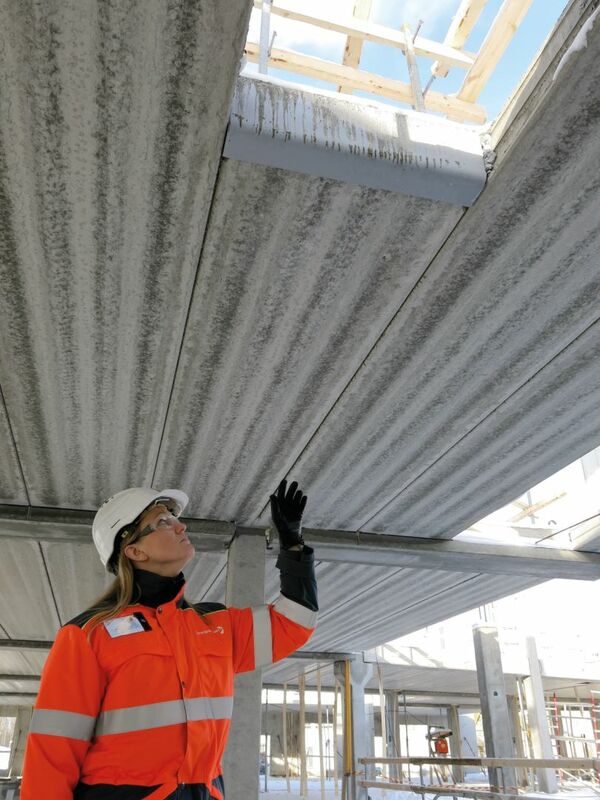 Hanna Keskiaho says Lemminkäinen has very much appreciated Peikko’s approach, particularly solutions that were realized with the use of anchor bolts, PETRA® hollow-core slab hangers, and smaller steel parts. 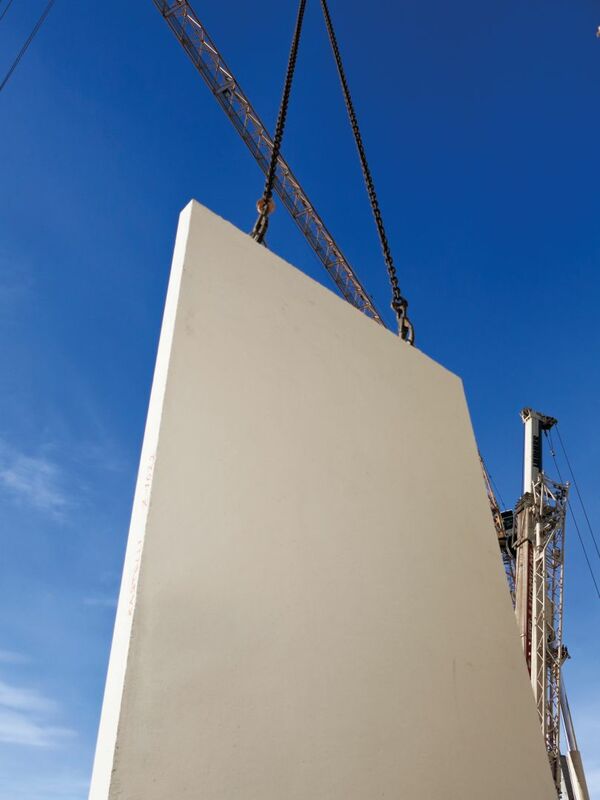 Peikko also provided detailed dimensioning calculations for the lifting anchors needed for the interior cladding elements supplied by VB-Betoni, which enabled precast panels to be used here safely. The solution worked out between Peikko and VB-Betoni meant that the elements could be transported to the site horizontally and erected into their final vertical position with a minimum of difficulty. 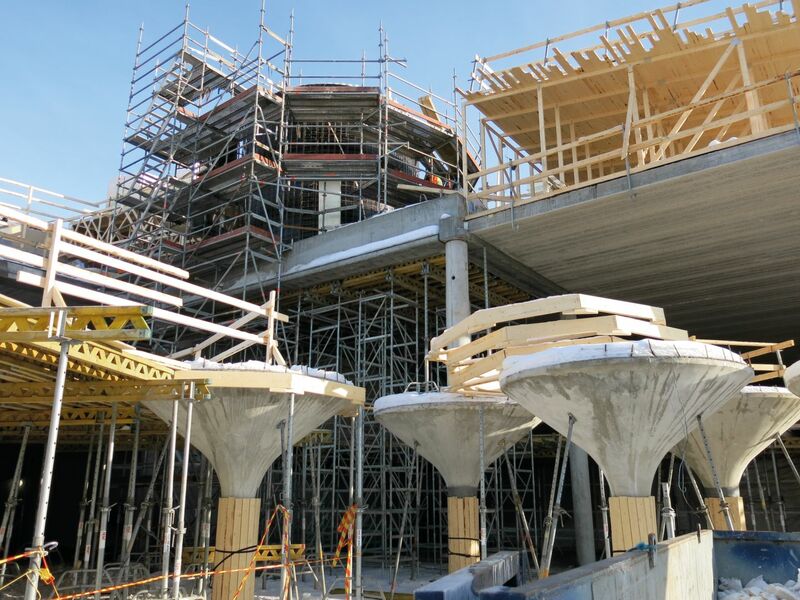 Peikko’s expertise has also benefited the project’s structural engineers, WSP Finland, as it freed up a lot of their time to concentrate on the main aspects of the design and the detailed engineering needed. This has proved particularly valuable, given the very tough timetable that everyone has been required to work to and the geometrical complexity of the design, which won a specially organised architectural competition. The unusual shapes characteristic of the design presented their own challenges in specifying the building’s elements and dimensioning Peikko’s products. Keskitalo is particularly impressed by Peikko’s ability to deliver its products to the site in only a week, despite the customised nature of the parts in question. Ensuring construction never halts because of Peikko is obviously a priority for the company, she says. Around 2,000 anchor bolts were ordered from Peikko, together with around 650 TS Joint Reinforcements. All of these, together with the custom lifting anchors described above, were supplied by Peikko’s plant in Lahti, which also supplied the PETRA® hollow-core slab hangers. 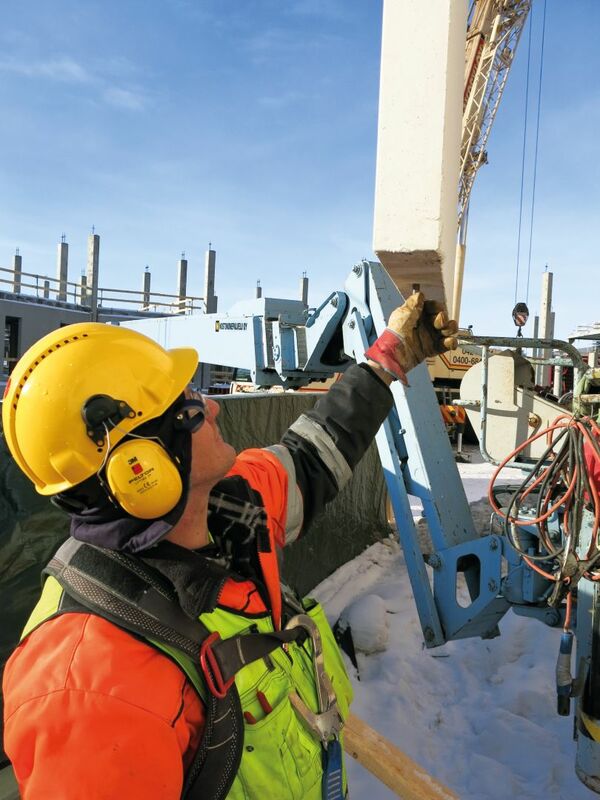 “The hollow-core slab hangers were a particularly critical delivery, and Peikko handled this very well too,” says Lemminkäinen Talo’s Structural Foreman Kimmo Similä. 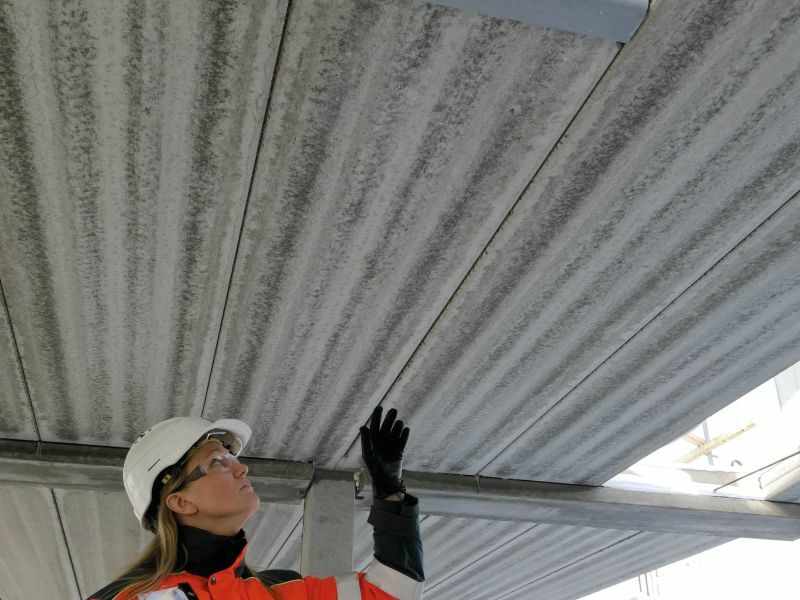 Peikko’s steel components played an important role in ensuring the smooth production of the building’s elements at VB-Betoni’s plant in Vaala (missä? ), which never had to halt work while it waited for a delivery. Peikko Finland’s Business Manager for Connections, Antti Rousku stresses that customers need to be able to rely on Peikko’s scheduling, even when deliveries are made up of large number of custom parts. Peikko was a natural choice for us, as we’ve worked with them successfully for many years,” says Hanna Keskiaho. “In fact, we wouldn’t have chanced giving such a big contract to some small supplier.